This is one of the records I learned to play drums to as a kid in my parents basement. This and both Grippe and Novelty by Jawbox were so HUGE in my musical development and were vastly important to expanding my musical taste and horizons...it led me to check out stuff that wasn't necessarily straight up, conventional punk rock. It was because of this record that I got really into stuff like Talking Heads and even from there, stuff that wasn't punk music at all. I'm very thankful for this release to this day. 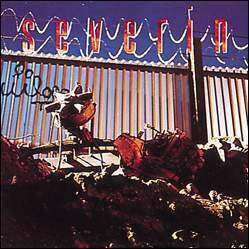 Severin's full-length record, released in 1992.